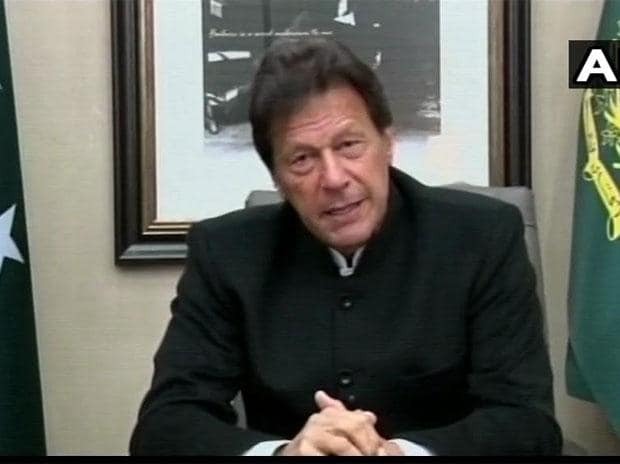 Pakistan Prime Minister Imran Khan has ordered a probe into allegations that two Hindu girls in Sindh province were abducted and converted to Islam, as New Delhi asked its envoy in Islamabad to give it a report. The two girls, Raveena (13) and Reena (15), were allegedly kidnapped by a group of "influential" men from their home in Ghotki district in Sindh on the eve of Holi. Soon after the kidnapping, a video went viral in which a cleric was purportedly shown soleminising the Nikah (marriage) of the two girls. In a separate video, the minor girls can be seen saying that they accepted Islam of their own free will. In a Twitter post in Urdu on Sunday, Information Minister Chaudhry said that the prime minister has asked the Sindh chief minister to look into reports that the girls in question have been taken to Rahim Yar Khan in Punjab. Chaudhry said the prime minister has also ordered the Sindh and Punjab governments to devise a joint action plan in light of the incident, and to take concrete steps to prevent such incidents from happening again. "The minorities in Pakistan make up the white of our flag and all of our flag's colours are precious to us. Protection of our flag is our duty," he said. On Saturday, Chaudhry said that the government had taken notice of reports of the forced conversion and underage marriages of the two girls. The Hindu community in Pakistan has carried out massive demonstrations calling for strict action to be taken against those responsible, while reminding Prime Minister Khan of his promises to the minorities of the country. Last year, Khan during his election campaign had said his party's agenda was to uplift the various religious groups across Pakistan and said they would take effective measures to prevent forced marriages of Hindu girls. Sanjesh Dhanja, President of Pakistan Hindu Sewa Welfare Trust, an NGO, earlier urged Prime Minister Khan to take note of the incident and prove to everyone that minorities were indeed safe and secure in Pakistan. "The truth is minorities suffer from different sorts of persecution and the problem of young Hindu girls being kidnapped at gunpoint and forced to convert to Islam or get married to much older men is widespread in Sindh,” he said. Dhanja said the Hindu community had staged several sit-ins in Ghotki district after which police reluctantly registered FIR against the accused persons. The Hindu community leaders have claimed that the accused belonged to the Kohbar and Malik tribes in the area. Following the incident, an FIR was filed by the girls' brother, alleging that their father had an altercation with the accused sometime ago and on the eve of Holi they armed with pistols forcibly entered their home and took the sisters away. A Pakistan Muslim League-Functional MPA Nand Kumar Goklani, who had initially moved a bill against forced conversions, urged the government to get the law passed immediately. Hindus form the biggest minority community in Pakistan. According to official estimates, 75 lakh Hindus live in Pakistan. However, according to the community, over 90 lakh Hindus are living in the country. Majority of Pakistan's Hindu population is settled in Sindh province where they share culture, traditions and language with their Muslim fellows. In a tweet, Sushma Swaraj, while tagging a media report about the incident, said she has asked the Indian High Commissioner in Pakistan to send a report on the matter. It said the Hindu community in the area staged protests, demanding action against perpetrators of the alleged crime. India has been raising the issue of plight of minorities, particularly the Hindu community in Pakistan.